Are We Too Worried About College? A stressed Annette Jasko is almost finished with her college applications. During almost every period of the school day, one will never find the guidance suite empty. Chairs are filled with students, finishing up last minute homework, studying for upcoming exams or using the computers to do research or check their grades, filled with anxiety on whether they passed their latest physics midterm. But what’s on most student’s minds, seniors more specifically, once they enter the guidance suite, is the treacherous territory of college applications. As we’re almost halfway through the school year, many seniors at Frank Sinatra School of the Arts (FSSA) are at the peak of their college process, sending in their SAT scores, transcripts, and college essays, in hopes that they’ll get into their dream schools. But what sometimes goes unnoticed is the vast amount of stress that is placed on the shoulders of many of these students and how it affects their lives inside and out of school. Is the wait for an envelope or decision worth the anxiety and strain that is placed within the days and weeks in between? Annette Jasko, a senior drama major at FSSA, has a lot on her plate, in terms of writing essays and dealing with financial aid. In fact, having one of the highest GPAs in the senior class, with all of the college requirements, Annette also has to juggle the high expectations from teachers, peers and even family. can’t even put into words how stressed I am. I started the second school started and I haven’t stopped since,” Annette said with a nervous laugh. Luckily, with the help of Ms. Joanne, the college adviser at FSSA, Annette has been able to take big steps in the process. “I don’t know what I would’ve done without Ms. Joanne. Even the things that I don’t even understand in applications, she is always there with the answer. I genuinely love her so much. I would be so far behind if it wasn’t for her,” Annette said. the much smarter route and plan ahead instead. “I decided to start working in the summer on my essay and everything, so I didn’t have so much stress with that because I wasn’t on my own. I also had help from my family and friends and of course, Ms. Joanne. Personally, because I got a head start with the whole process, I think that for me it’s been a lot less stressful,” Alice said. But what about people who have been through it all? “Those last few days before a deadline were probably the worst days of the whole year for me. The lack of sleep combined with all the schoolwork and other college stuff, really brought be to rock bottom and I felt like I was gonna explode,” says Madeline Windland, a freshman at Purchase College and graduate of FSSA. Madeline does believe, however, that in the end all of her hard work did pay off. “I think that after all that I did, the wait was definitely worth it. I got into a college that I really like and I’m doing something that I really love to do,” Madeline says. Her message to younger students who are going to face the college process soon is to get organized and pre-plan to avoid any chaos or anxiety that typically follows during this time. 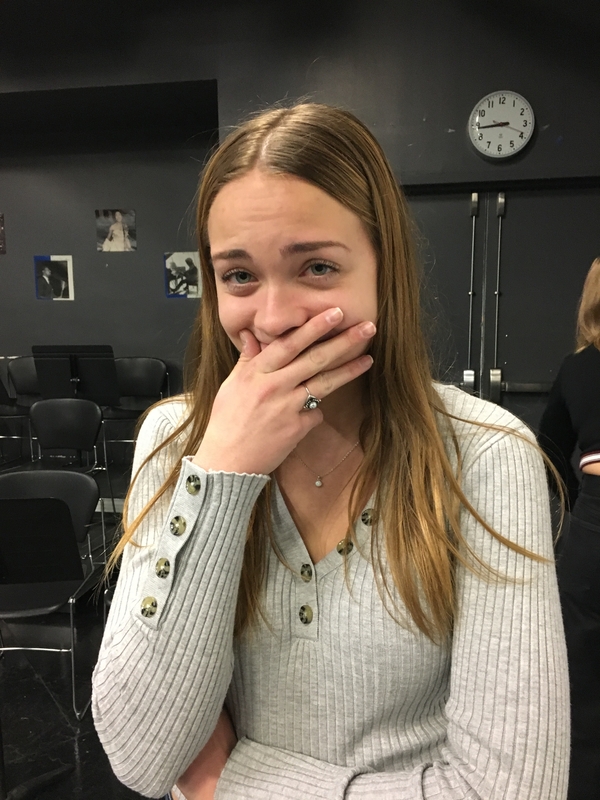 “My advice is to start as soon as possible and get whatever you need to do out of the way so that you can leave a little space and enjoy your senior year while you still can.” Madeline said.